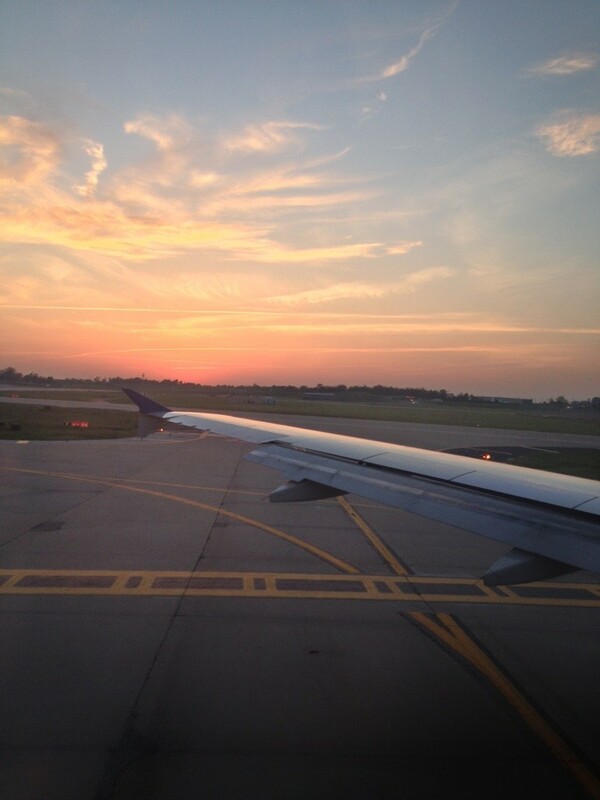 Heading home from Saint Louis was almost as eventful as being there. First my flight was delayed, then it was delayed even more to the point that my connecting flight from Saint Louis to San Francisco was going to miss my flight across the pacific. I was exhausted, emotional and missing my family. So naturally I threw a tantrum. After 3 hours sleep in the SFO airport and a full trip riding on the airport tram I knew I had to get out of the airport if I was to survive until my flight almost 24 hours after I was supposed to leave the country. The public transport in San Fran was pretty good and I was able to catch Trains and Busses with ease. if not a but squishy at times. 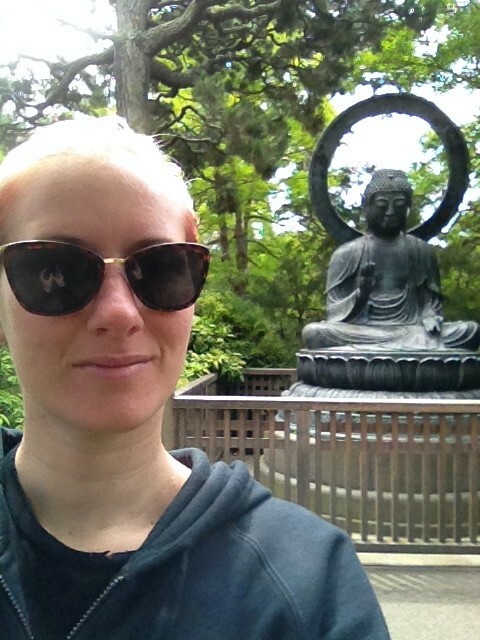 In tourist mode, I first went to the Golden Gate Park, definitely a must see. 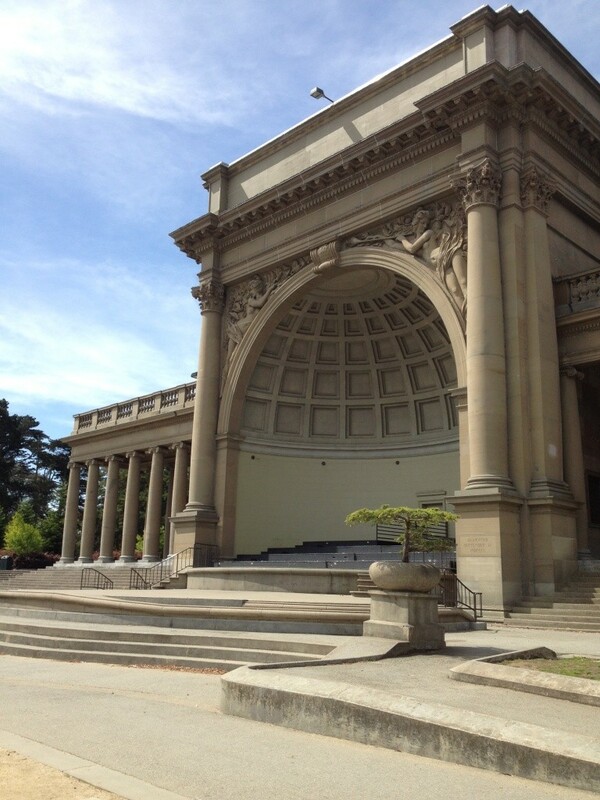 It has beautiful architecture within in, as well as the San Francisco Botanical Gardens. 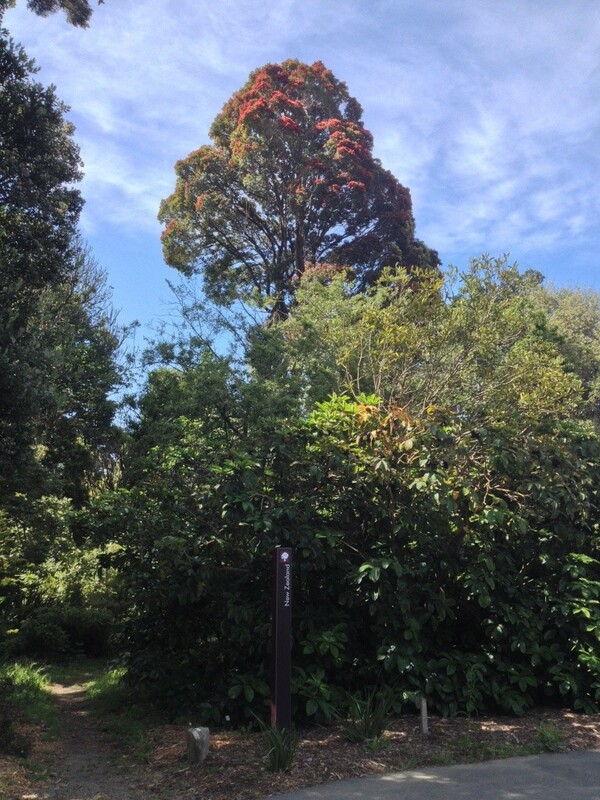 I was pleasantly surprised to find the largest Pohutakawa tree I have seen in there. It made my home sickness a little more bearable. As I walked past the amazing Amphitheatre they had there, the smell of Churros wafted past my nose from one of the carts near by. On the way to discover the churros cart, I was distracted by finding the highlight of this place, the Japanese Tea Garden. It was a place of serenity and beauty, and it was exactly what I needed at the time. The gardens were immaculately groomed, combining traditional sculptures and statues. 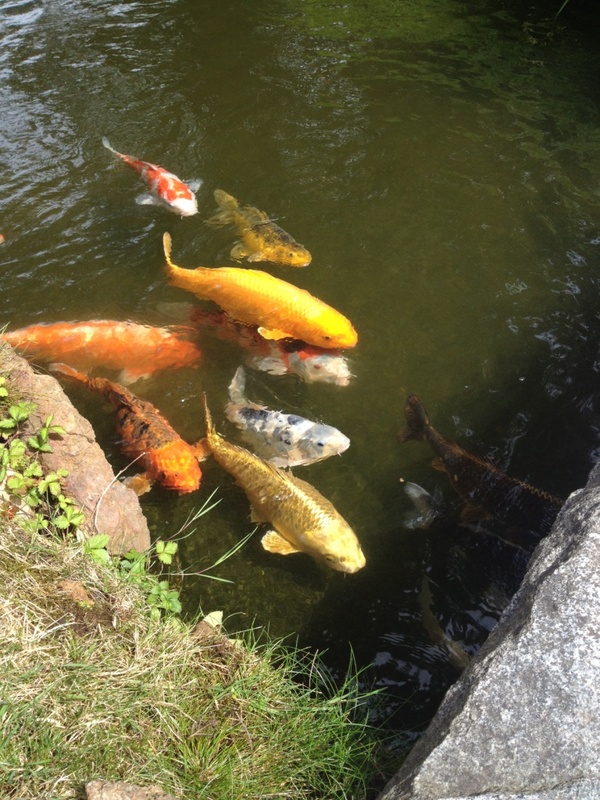 In the Koi pool I found a burlesque girls dream… an actual Gold fish. Like gold gold. the colour of gold the metal. It was so shiny and pretty! *insert burlesque girl excitement here! * (I was somewhat sleep deprived so probably a little more excited than I should have been about this hehe). Through the magic of facebook, hearing I was in San Fran, I got a recommendation from my Sister-in-law to head to Buena Vista, the first place to introduce to the Irish coffee to America to try the coffee and the buffalo wings. Two problems here: I don’t drink coffee, nor do anything too spicy let alone with blue cheese. Both of these things were a part of that recommendation! So of course I had a beer, a Pilsner made by the café itself. It reminded me of having a good craft beer at home. 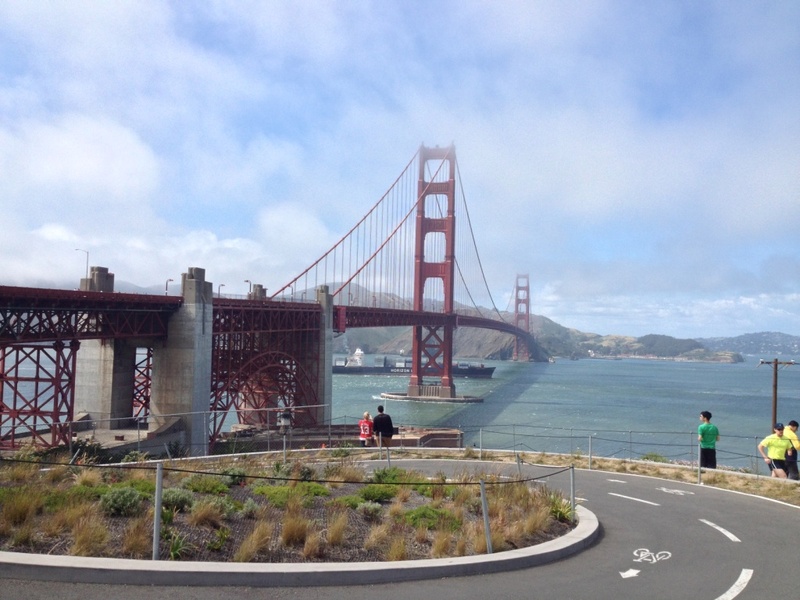 As I wandered around town and decided to do the ultimate tourist thing and go see the Golden Gate Bridge. It was mind-blowing. The engineering on this structure is phenomenal and oozes art deco on a massive scale. Beneath the bridge the rips and currents are terrifyingly beautiful. Seeing them swirl and have tide pools in the middle of a strait is not something I have seen o this scale before. It was hypnotising. I spent a lot of time looking over the side of the bridge at these, and saw a seal struggling in the rips. It must have concerned a passer-by as later I had a bridge police/councillor approach me to ask if I was okay. 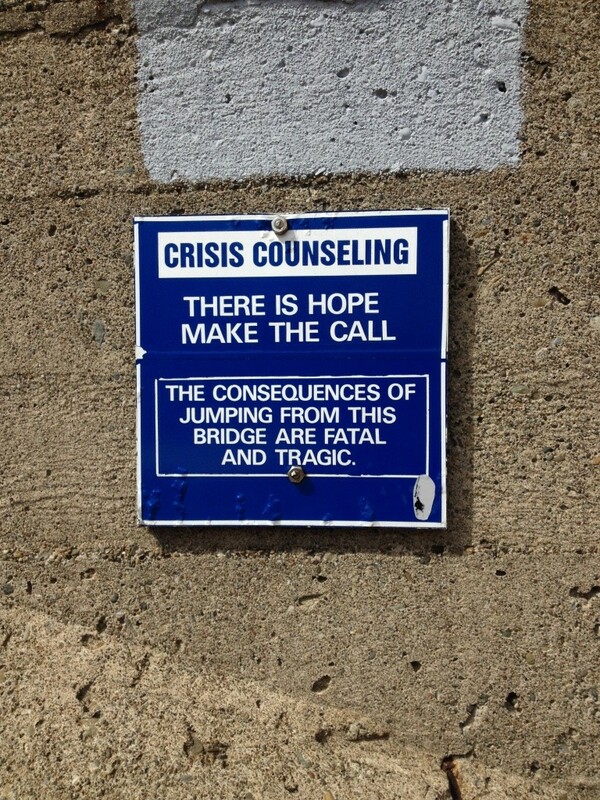 Apparently I looked sad enough to jump. I laughed quite hard, and explained other than being exhausted I was fascinated with what I was seeing. And then of course mentioned our loss in the Americas cup… much to the amusement of the officer. 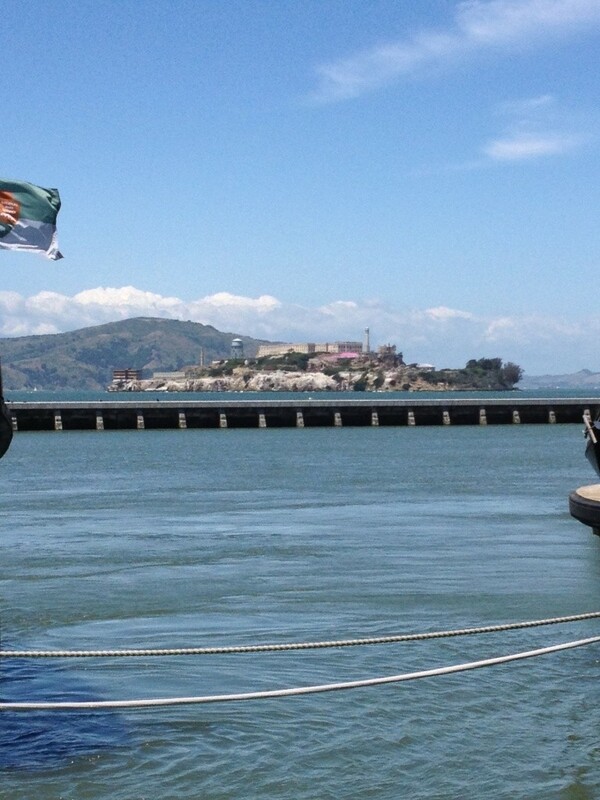 There was wicked views no matter where you went in the city and I was ecstatic to be able to see clearly the Rock – Alcatraz. I wish I had more time to do a tour. San Francisco is such a beautiful city and it was not a loss at all to have my flight delayed since I got to spend time there. By the time the afternoon rolled in, I was happy to go re-check in for my flight and head home. I slept most of the way and dreamed of all I had seen and experienced. Show Me really did show me burlesque and Vaudeville. I came away feeling inspired and even more determined and would recommend the trip to anyone performer and audience member alike. Thank you Show Me Burlesque and Vaudeville Festival for having me! This entry was posted in Burlesque Diary and tagged Botanical Gardens, Burlesque, burlesque life, Family, Golden Gate Bridge, gratitude, Japense Tea Gardens, Koi, saint louis, San Francisco. Bookmark the permalink.